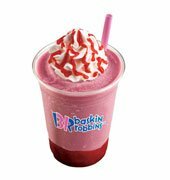 Fancy some fruit goodness in a beverage? We have got a lot of flavors for you to choose from for fruity indulgence. Time to get nutty with Nutty Berry! 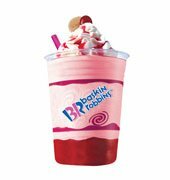 A thick shake made with Baseball Nut ice cream resting on one level ladle of Strawberry ice cream topping and topped with one dollop of real ice cream, dripping with strawberry syrup. 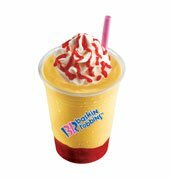 Thick shake made with Mango Tango ice cream with one level ladle of Strawberry topping added to the base and topped with one dollop of real cream and drizzles of strawberry syrup.